Running is a good form of exercise. It can also be considered a sport. It gives many benefits and makes one feel good. We came across someone who loves to run. He also does it with style, using patterns like an elephant, Twitter’s logo and everyone’s friend — Hello Kitty! You can read more about his unique running adventure by going HERE. 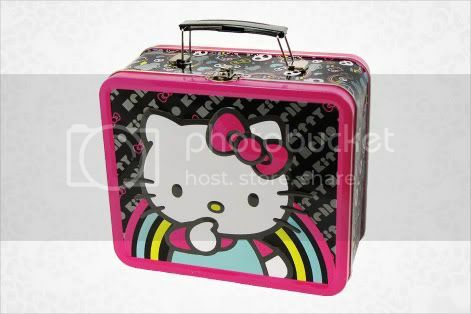 Bring lunch in style with the cool, new Hello Kitty Metal Lunch Box! Featuring Hello Kitty in a very innocent and cute pose, make new friends with Hello Kitty enthusiasts like yourself in school when they see your lunchbox! Fancy embossed design featuring Hello Kitty with a rainbow background. The golf balls have a high-performance titanium core. These are contained in a heart-shaped container.